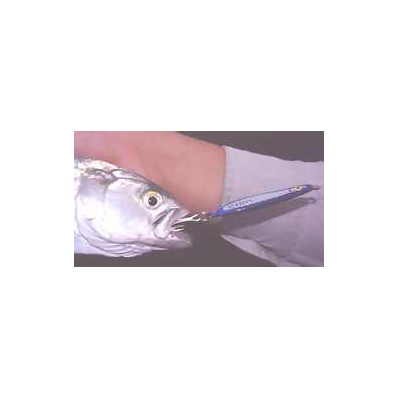 Fishing for Tailor - Lazer Fishing Lures, metal lures for saltwater and freshwater fishing. There is no doubt that the tailor is one of the most sought after local recreational fish species. Each winter and spring there is swing in anglers' attention to the tailor as they undertake their annual spawning migration up the east coast to the northern end of Fraser Island. Fishing for these amenable fish is undertaking a slowly paced evolution. Most anglers targeting tailor a couple of decades ago used garfish for bait. The availability of WA or blue pilchards changed anglers' habits and these soft, oily baitfish became the basis of most tailor techniques. The use of pilchards is still popular today but with the decreasing numbers of pilchards available for harvest and their increasing use as a food fish is having a couple of effects. They are becoming both more expensive and a less attractive option for environmentally conscious anglers. We know that the unchecked harvest of pilchards will certainly have detrimental effects upon the predatory angling species, like tailor. There is, fortunately, another technique for angling tailor that doesn't rely on the harvest of any baitfish. Spinning for tailor has had a strong following amongst sporting anglers for at least forty years. This form of fishing for tailor is possibly the most practical and is certainly very effective. Practical because one doesn't have to carry huge amounts of bait and lures don't need to be kept on ice or away from thieving gulls. It is a very wise practice to carry a few tailor lures when chasing other species like bream, dart or mulloway to enable an angler to take advantage of an unexpected appearance of a school of tailor. Effective because unlike bait there is no delay between landing a fish and making the next cast into a feeding school. Also if a fish throws the hook while being played the lure resumes fishing immediately, no wasted time retrieving to re-bait. Spinning for tailor doesn't differ greatly from bait fishing for them. Retrieve speeds are faster but apart from that spinning can be used to good effect in the same areas and conditions where anglers fish bait. The most effective lure type for tailor spinning is the humble metal jig. Of the plethora of metal lures on the market none is more successful than the Queensland made Lazer. One of the best of the Lazer range for tailor is the 25 gram model, being heavy enough for comfortable casting, yet small enough to appeal to fish that may be feeding on diminutive forage like anchovies. If the tailor are accompanied by fussy feeders like bonito, or small tuna it may be a wise move to try the smaller 15 or even 10 gram Lazers to score a mixed bag. Alternatively when casting from the shore to distant gutters a change up to the 35 or 50 gram models may be necessary to achieve the required distance. 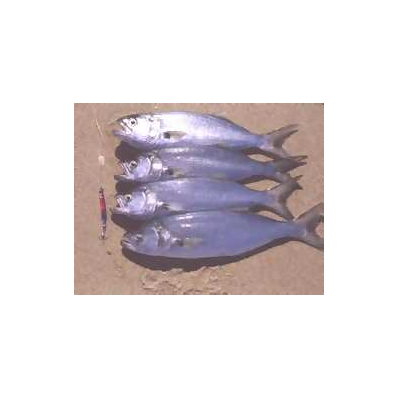 While fishing the surf beaches of Bribie Island this winter local lure tossers have been very successful with Lazers from 25 to 50 grams and, although it surprises many, have consistently outfished anglers using WA pilchards. 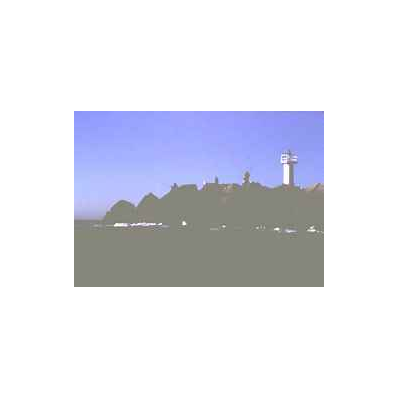 Anglers fishing breakwalls often use heavy 35 and 50gm Lazers to reach distant schools of tailor. As previously mentioned the locations for spinning are the same as for bait fishing, close gutters in the surf and rocky headlands or breakwalls are all prime tailor spots. Simply cast across the gutter and make a medium paced retrieve. If you see fish following the lure without taking, increasing the retrieve speed should make the difference. When searching for fish spread your casts across the reachable water so no two fall in the same spot. Covering the water in this manner is a far more effective search pattern than working the same area repeatedly. 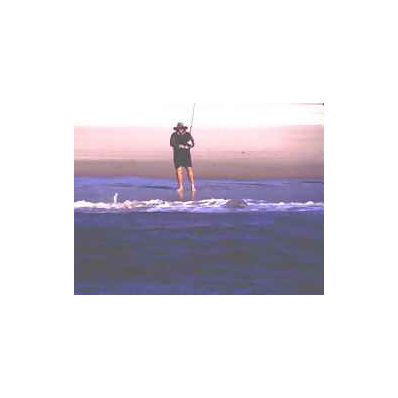 This method of working casts around the clock face is applicable to both beach and rock fishing. Casting Lazers for tailor from the rocks or beach will produce plenty of action. Give it a try this season and see for yourself.